If you’re travelling this holiday season, you might want to look into getting a Wi-Fi router (better known as a Pocket Wi-Fi) to keep yourself connected to your social media, and friends and family, during your travels. I feel like having Wi-Fi is essential when travelling overseas. Whether I’m travelling for work or on holiday, I tend to use Wi-Fi to navigate, update my business contacts on the go, and access social media. I hate having to hunt for cafes that provide Wi-Fi, so Travel Recommends is the perfect solution! Travel Recommends is a service provider that allows you to rent SIM cards, and pocket Wi-Fi devices with unlimited data for you and your travel companions (yes, multiple devices can connect to the router simultaneously). Wonder how to collect the device before you fly, no worries! 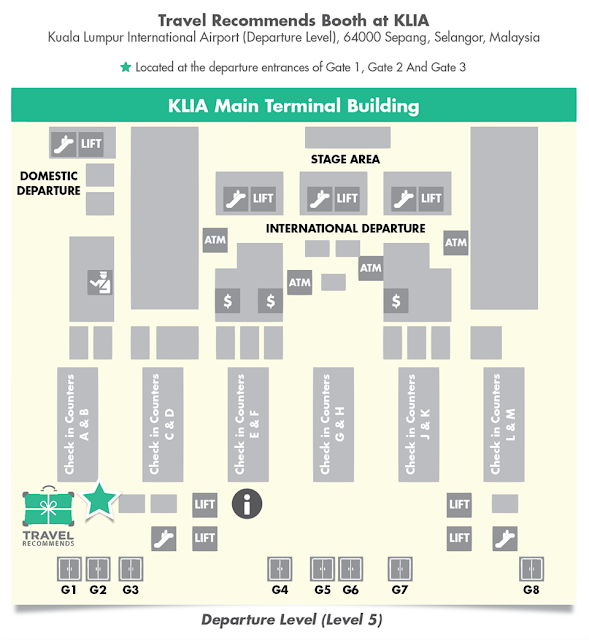 You may choose self-collection at their booth located in KLIA or have them conveniently courier it to your doorstep for FREE! What is a pocket Wi-Fi router, you ask? It’s a small, pocket-sized device that provides data whilst you’re travelling, so you and your friends can connect to it and stay connected to the online world (including Whatsapp, WeChat and the likes!). The rental process is exceedingly easy – all you need to do is visit their website and reserve your device at least 5 working days before your departure. Then, you will receive an email with payment details. Make payment and send the details over to Travel Recommends, and you will receive a confirmation email. Travel Recommends already boasts low rental rates for both travel Wi-Fi routers and SIM cards, but they’re lowering their rates this CNY with amazing promotions. 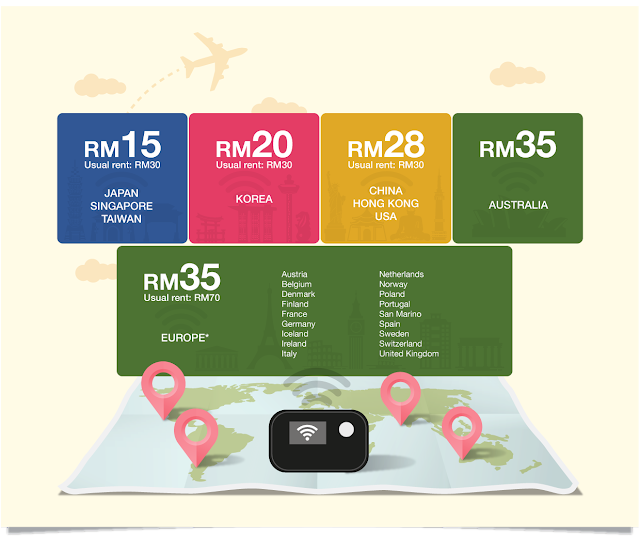 Travel to Taiwan, Japan, or Singapore with the LOWEST RATE in town at just RM15 a day, with free courier service! The rental rates for other countries are pretty low too! So if you’re going to be travelling, you might want to check them out! What’s more, I have a promo code for you guys – EMILY10 for RM10 off your total bill!